Ealing Council will hold two public exhibitions of its plans for the area around Ealing Broadway station, which is going to be to be transformed with the completion of the new Crossrail station in 2016. The exhibitions next week will give you a chance to comment on ideas for areas around the station which will be modified as part of the council’s plan to improve Ealing’s town centre. 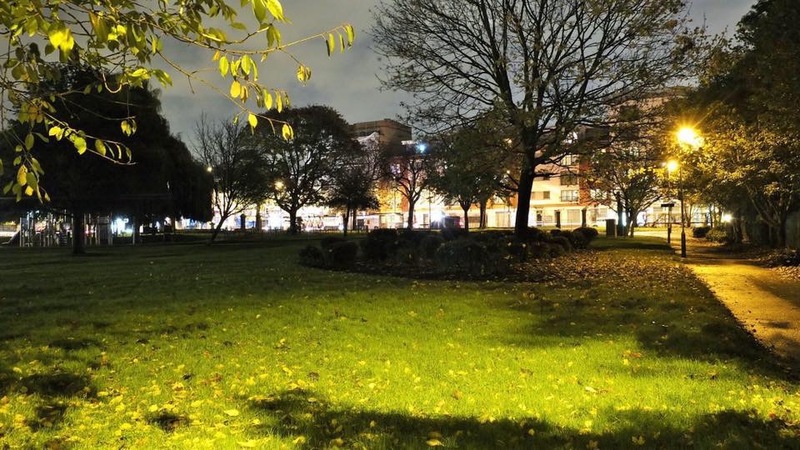 The two sessions will be held between 4pm and 8pm on Tuesday, 2 September and Thursday, 4 September at the Ealing Broadway Station forecourt on Haven Green. Picture boards will help people to understand the improvements which will delivered once the Crossrail works inside the station are finished at the end of 2016. 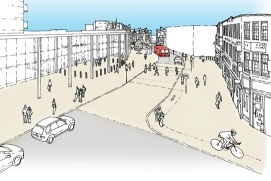 The changes will improve pedestrian links with a wider crossing area for pedestrians between the forecourt and Haven Green, new pick-up and drop-off points, better cycle links and an enlarged bus shelter outside the station. 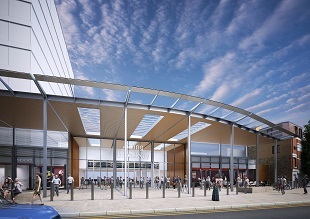 The station forecourt will be closed to traffic as part of the new Crossrail station and will become a pedestrianised area with upgraded lighting, seating and an area with the potential for other features such as artwork and a café. You will have an opportunity to ask detailed questions about the proposals and will be invited to complete a questionnaire at each session. Feedback during the exhibition will be used to help inform the plans as they develop. A Crossrail representative will also be available at the consultations to answer any questions on the improvement works taking place inside the station. This year’s SoundBite Festival in Dean Gardens is looking good. We’re concentrating everything in Dean Gardens this time round. The event starts at 12noon and the music runs through until 10pm. 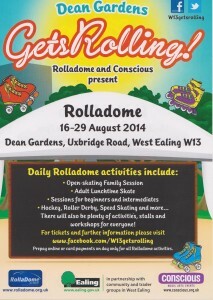 Get ready for a great day out. I saw this story on the Ealing Today website whereby a man was seen cutting branches off a street tree in Perivale. He was seen, reported, charged with, and found guilty of, criminal damage and then fined £2,400. I have to say that’s a pretty hefty fine but I was pleasantly surprised that the Council took the vandalism seriously. Similar vandalism has happened near us in a street in West Ealing. I don’t think anyone saw it happen but it’s worth knowing that if there’s sufficient evidence the Council will take action. WEN Abundance – Pesky parakeets pinch our apples! There are all sorts of theories about how these Indian Ring-Necked parakeets came to this country – from escaping off the set of The African Queen being filmed at Shepperton Studios in 1951 to Jimi Hendrix releasing them in Carnaby Street in the 1960s. In the last few years their distinctive screeching has been a common sound and we’ve seen some in our back garden. They love to perch right at the top of trees even when the flimsy twigs there barely seem strong enough to hold their weight. However, this year it seems they have taken a fancy to apples. When we last visited the community orchard there looked to be a decent apple crop. When we went back to start picking we wondered where all the apples had gone? Gone to the parakeets is where they’ve gone. The owner of April Cottage next door to the orchard told us that he has seen parakeets eating the apples this year. They sit right at the top and work their way down. All part of living with nature I guess. Still, we hope to find enough apples from other trees to send some batches off for pressing in to apple juice. And watch out for our stall at the SoundBite Festival in Dean Gardens on Saturday 13th September where we’ll have elderflower cordial, apple juice and chutneys on sale – all handmade from local produce. Then come 7pm it will transform in to a Roller Disco. 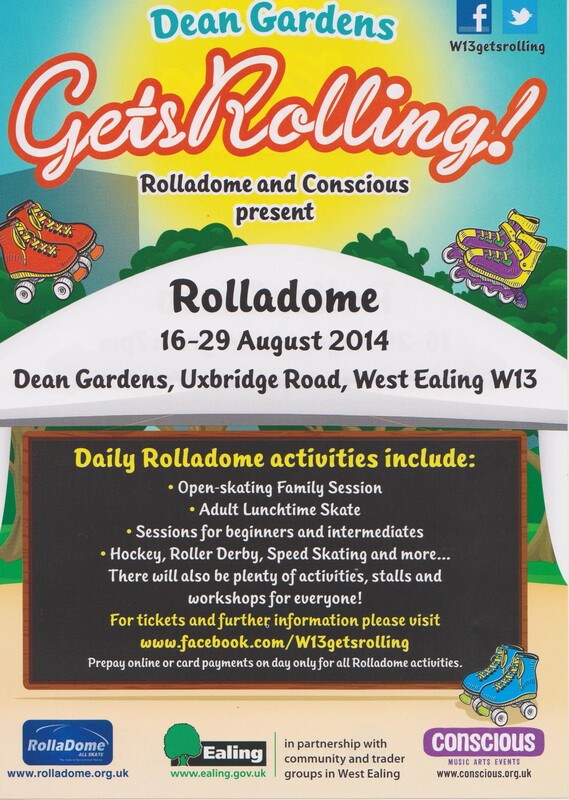 Over 12 themed nights the Rolladome comes alive with a selection of West London’s finest DJs playing great music for you to rollerskate and dance to. ‘Coco Labelle is a family run local catering company offering exotic foods, live entertainment and childcare. We are now providing pop ups in London to bring you the mauritian, jamaican and italian flavours that we love! 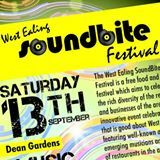 We also share with you the finest musicians in London treating you to live jazz, soul, reggae and pop. The Chariot Festival is by far West Ealing’s biggest annual event. We have about 10,000 people attending this event from all over Europe and it transforms Dean Gardens and the surrounding area. This weekend of 9/10th August sees the annual Shri Kanagathurkkai Amman Temple (SKAT) festival come to West Ealing once again. The festival culminates on Sunday with the Chariot procession leaving the Temple around 9am, and then returning at about 12pm via Mattock Lane, Culmington Road, and the Uxbridge Road. Dean Gardens will be full of stalls with Tamil food, lassi drinks, and selling bric-a-brac to fundraise for the Temple’s activities. It’s a great day out for everyone with lots of amazing sights, sounds and tastes. Are you interested in volunteering with me on the W13gets rolling project? You don’t need to skate (unless you want to) you just need to be available for a couple of weeks or until the end of August and want to be part of an exciting and innovative project. We need people now to help with the preparations (including some admin and contacting traders, event management and sponsors etc) and also on throughout the days/evenings to help with stewarding etc. We can’t offer a wage but we will look after you in terms of refreshment and expenses and a reference and it would be good for any CV!